Pieter M Botha Orthotist & Prosthetist provides the following Home Nursing Equipment products: Aluminium Reachers, Bath Aids, Bath & Shower Benches, Commodes with footrests or standard, Grab Rails and Patient Hoists. Aluminium Reachers is a pick-up tool for use by people who have difficulty in bending or reaching. There are various Bath Aids designed to assist you whilst using the shower and bath. You shouldn't have to struggle in the bathroom, choose the Bath Aid that will work for you. There is nothing better than a warm relaxing bath. But getting in and out can be difficult if not impossible. Try some of these bath aids, they'll make a world of difference. The Swivel Bather fits most baths and is easy to install. The Swivel Bather comes with or without a lock to lock the chair in position and prevent it from swiveling while transferring. The Bath Board is an adjustable bath board with handle that fits most baths. Slatted bath seat that fixes securely to the bath with 4 suction pads. The CE Mobility Transfer bench is essentially an extra long bench with 2 legs in the bath and 2 legs out. Allows for safe, easy tranferring into and out of the bath. 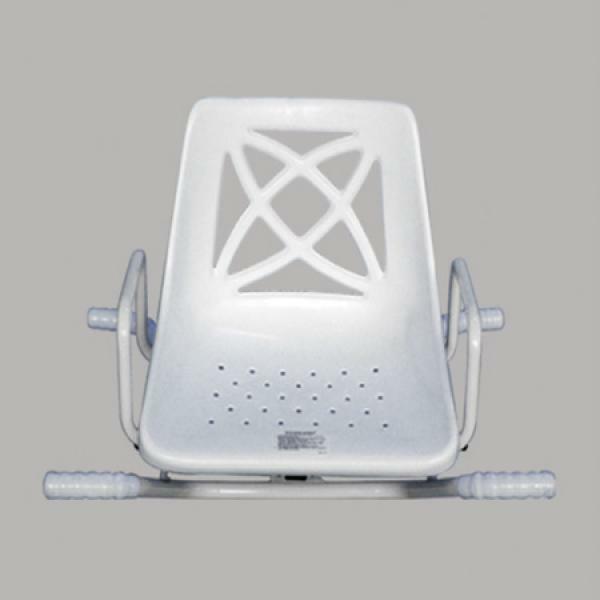 This lightweight bath lift allows the user to be lowered safely and securely down into the bath with the added comfort of a 40 degree recline. The Lotus bath lift also has the protection of antimicrobial and dirt repellent surfaces making it incredibly hygienic and easy to clean. The product breaks down into 5 lightweight components making it simple to assemble and transport. The Lotus really is an excellent choice for those looking for an easy to use and maintain bath lift. The CE range of shower benches from CE Mobility are height adjustable, lightweight with non-slip rubber ferrules to ensure a safe, comfortable shower. This lightweight, aluminium and economically priced shower bench is height adjustable and perfect to place in most showers. Avaialable with a backrest if you prefer. This lightweight, aluminium and economically priced shower bench is height adjustable and perfect to place in most showers. Avaialable with a backrest if you prefer. The U-shape seat makes reaching all areas to clean possible. A commode is a mobile toilet. The commode can be used next to the bed or in any room in the house. The commode offers convenience to people who struggle to move around and get to the toilet. Our range of Commodes without wheels are ideal if they will be used in the same room or if you need the convenience and transportability of a folding commode. This standard commode is white with a bucket. It can be used in the bedroom or in the bathroom. This standard commode is white with bucket wheels and a breaking system. Named the 3-in-1 as one can use it as a standard commode, shower chair or toilet seat raiser. This commode in particular is wider than the average commode to accommodate people who require larger space. This commode is a standard commode with bucket wheels and a breaking system, but it also has a foot rest. Named the 3-in-1 as one can use it as a standard commode, shower chair or toilet seat raiser, but with the convenience of a foot rest. Choose the Grab Rail that is available in various sized to suit your individual requirements. The Dog Leg Grab Rail is 3 rails in one and provides 3 separate angles to ensure the best grip for lifting and lowering yourself. Ideal for next to a toilet. 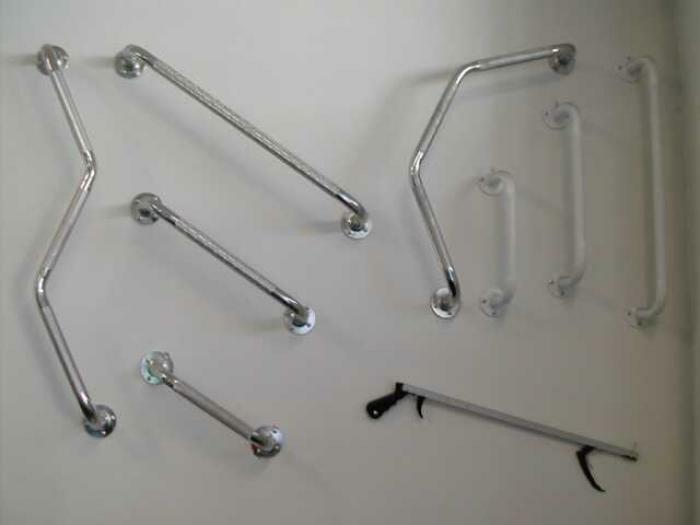 Aluminium Grab Rails are ideal for wet areas where rust is a problem and can be annodised for extra rust protection. The CE Hydraulic Hoist offers an economical option for safe, reliable patient lifting. We also have wide variety of slings which allow maximum comfort for the user. 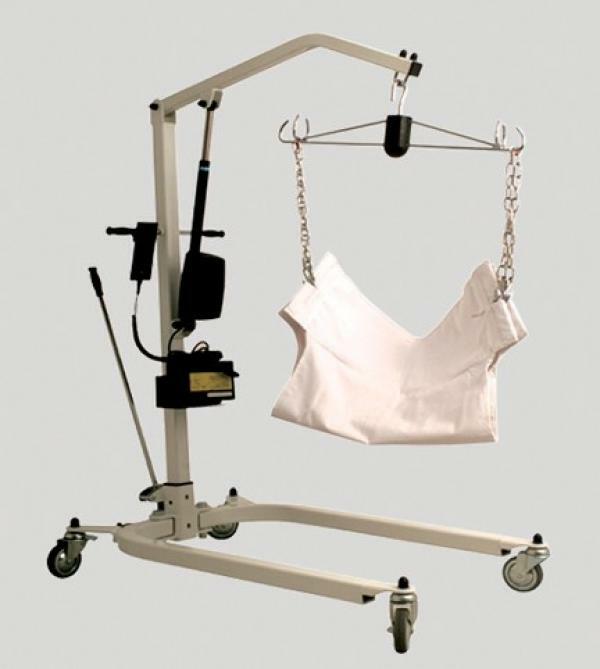 The CE Electric Hoist offers an economical option for safe, reliable patient lifting. 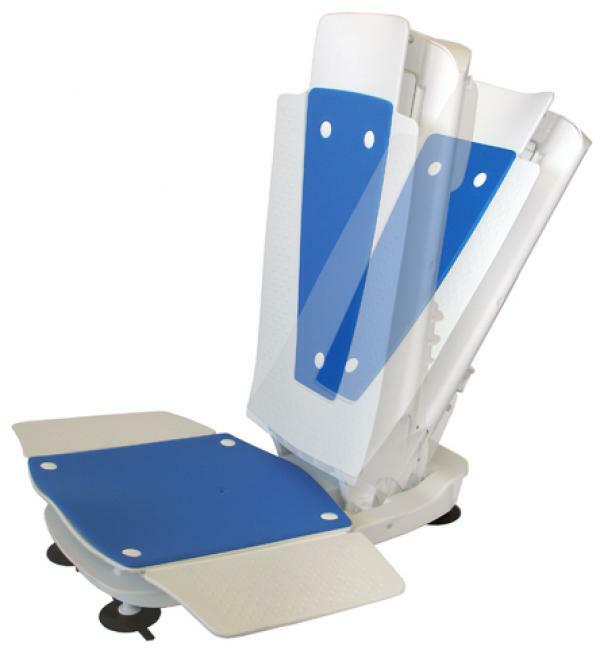 Remote control allows the user or carer to easily lift and lower the user to the desired position. Give us a call at Pieter M Botha Orthotist & Prosthetist on 017 634 7086/7 or click the Enquire Now button above and fill in your requirements.